Goon: Last of the Enforcers (film, 2017). A 2017 sports comedy film with "R" rating by Entertainment One. Directed by Jay Baruchel. Official Trailer. Goon: Last of the Enforcers is a 2017 sports comedy film directed by Jay Baruchel. 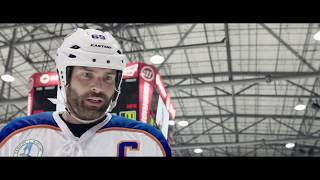 Goon: Last of the Enforcers - Official Trailer. 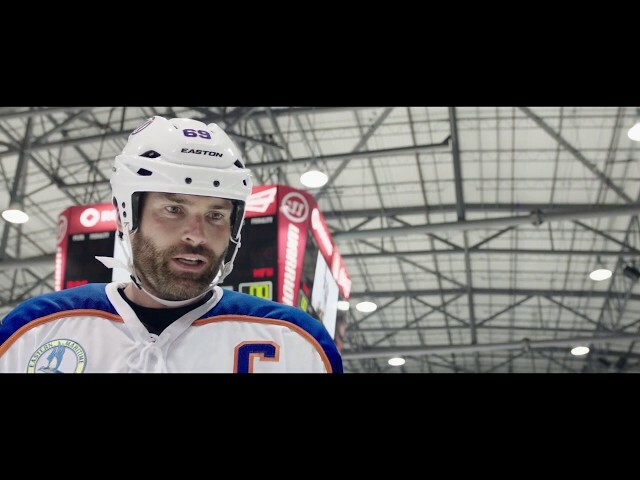 During a pro hockey lockout, Doug "The Thug" Glatt's (Seann William Scott) team, the Halifax Highlanders, has to contend with an influx of new players. With pro hockey suspended, media focus has descended on the lower league, and the owner of the Highlanders, Hyrum Cain (Callum Keith Rennie), seeks to capitalize on the attention. Before the opening game, Doug is made captain and leads his team out onto the ice. In a close fought game, Doug is goaded into a fight with the rival team's enforcer, Anders Cain (Wyatt Russell), an up-and-coming player with a violent streak, and the son of the Highlanders' owner. Anders wins the fight, and with Doug badly injured, the Highlanders lose the game. Dealing with rehab, Doug decides to retire and accept a more stable job as an insurance salesman. At home, Doug's wife Eva realizes that she is pregnant, and she and Doug make preparations for their new child. Without Doug, the Highlanders go on a long losing streak, prompting the owner to push for changes. He signs several overseas players and pushes to add his own son to the team. Hyrum foresees Anders as the new captain of the Highlanders, and although the coach disagrees with the move, anticipating locker room dysfunction, Hyrum strongarms him into making Anders the new captain. Meanwhile, Doug finds no joy in his new job, stuck in a dingy office, and he begins secretly training to get back into hockey. Doug visits his old rival, Ross "The Boss" Rhea, who has left hockey and now competes in a hockey fighting league, where he is the current champion. Doug convinces Ross to train him in southpaw fighting, as the injury he suffered fighting Anders has weakened his right arm. Ross agrees to train him, and Doug slowly begins to learn how to fight left-handed. Ross convinces Doug that if he joins the hockey fighting league and impresses, it could be a way to get back into minor league hockey. Doug takes Ross' advice, but the first fight ends up being a battle royale style brawl, instead of the one-on-one fights that Doug had witnessed before. Doug and Ross end up as the last two standing during the melee, but Ross is too hurt to continue and collapses before they can fight each other. In the locker room after the fight, Ross reveals that he has post-concussion syndrome, and doctors have recommended that he stop playing, as one more bad hit could cause a permanent injury. Principal photography began on June 22, 2015, in Toronto, Ontario. The film Goon: Last of the Enforcers was scheduled to be released by Entertainment One on March 17, 2017 (Canada) and on September 1, 2017 (United States). The duration of the film is 101 minutes. The film grossed over CAD$1.2 million. Goon: Last of the Enforcers got average rating from critics. The audience dislikes the film either.